For regular customers, particularly commuters, 7, 30 and 90 day and annual tickets offer great value for money. The best way to buy these is with our app clickit2ride, as it helps speed up boarding. 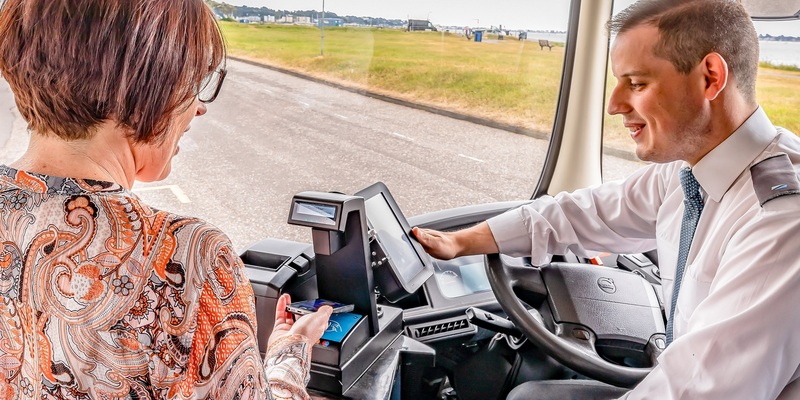 However, weekly tickets are available from your driver, with contactless or cash. If you already have theKey, you can continue to top up online or via our travel shop in the usual way. Please note: period tickets are only valid for consecutive calendar days travel and not for 24 hour periods. These are adult prices for those aged 19 and over. Find out more about children and young persons tickets. Some routes fall into different zones, so make sure you buy the correct ticket so that you can complete your journey. To see which zone your journey is in, you can view our fare zone map. Unlimited travel on any m1 and m2 bus which run between Poole, Westbourne, Bournemouth, Castlepoint/Southbourne (not valid on N1/N2 nightbuses). Unlimited travel on any more bus within zone A, as far as Kinson, Christchurch and Turlin Moor (except night buses). Unlimited travel on any more bus as far as Wimborne, Corfe Mullen and Ferndown (except night buses). Unlimited travel on any more, Damory, bluestar, unilink, Salisbury Reds bus right across the South Coast, including travel to Blandford, Lymington and Salisbury (except night buses).